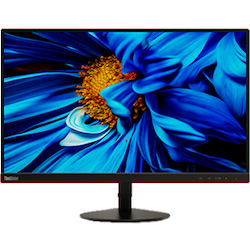 The ThinkVision S24e-10 is a high-performance monitor specifically meant for your work in the office. With a 23.8-inch FHD VA panel, enjoy a 178 wide viewing angle with crystal-clear detail and vivid colours and high contrast ratio (3000). The excellent display performance and functions also optimise your working experience.